Moving a business office safely and efficiently can be challenging, especially if you don’t have the right equipment. At Liberty Movers, we have everything you need for a safe office relocation that minimizes downtime and saves you money! We have a long-standing reputation for quality service dating back to 1920, making us one of the most trusted Holden office movers in the area. Our crew of trained professionals will work with you and your office staff to ensure every need is met while providing the most hassle-free relocation possible. When you’re looking for reliable business movers in Holden, make sure you’re working with a company that has the resources needed to handle the delicacies of an office move. Otherwise, you could be dealing with damaged equipment and furniture, wasted time, and lost money! At Liberty Movers, we offer comprehensive services for meeting the unique challenges of your office relocation. Discover the Commercial Movers Holden Trusts! Office moving presents unique challenges that require professional planning and resources. Protect your time, money, and the reputation of your business by working with the leading commercial movers Holden has to offer! 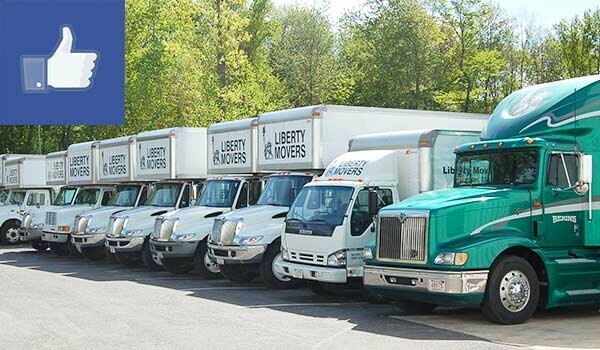 Call Liberty Movers today to discuss your needs with a helpful member of our team or use our online form at your convenience to request a free, no-obligation estimate!